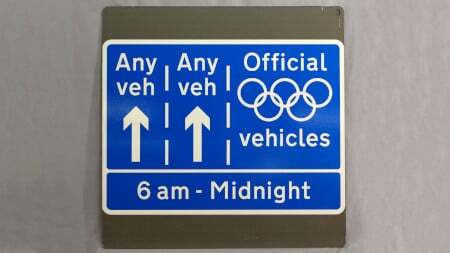 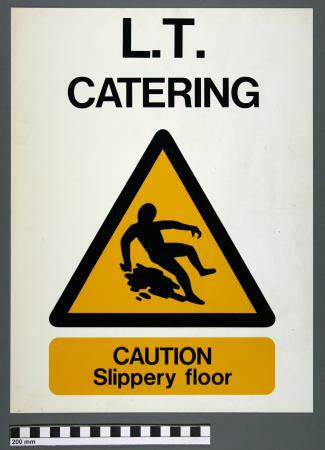 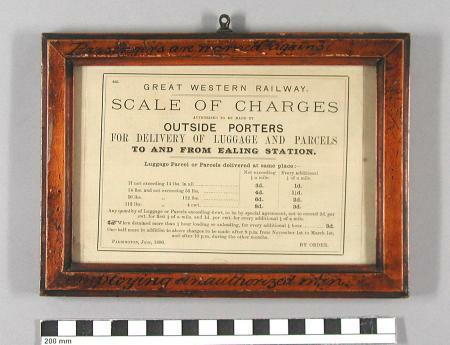 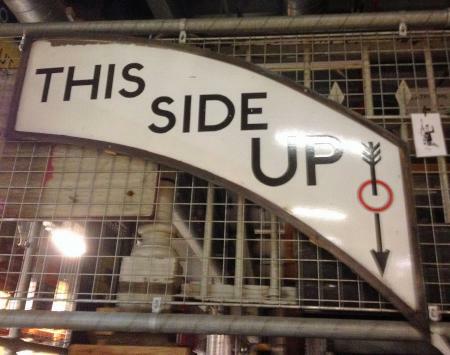 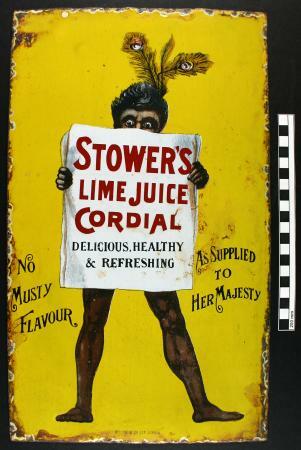 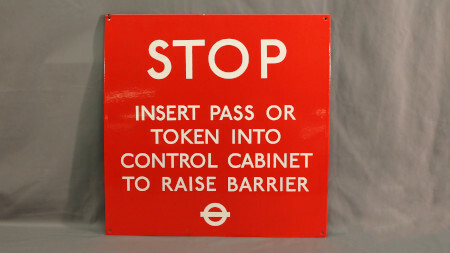 Warning sign to drivers, possibly from Acton Works. 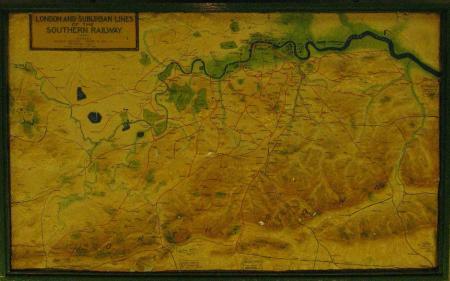 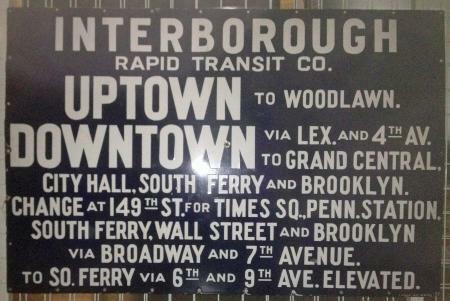 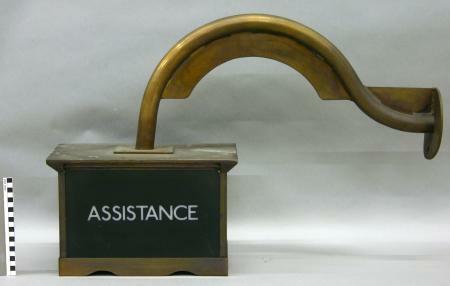 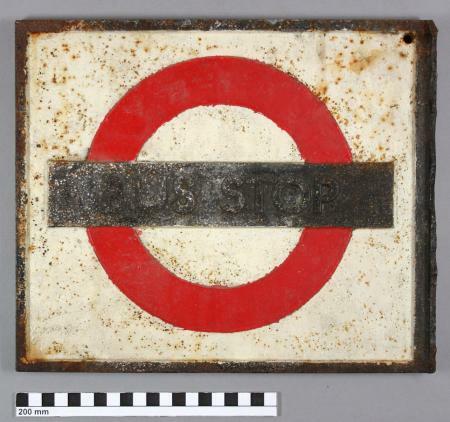 LPTB Country Area cast iron bus stop plate, c1933 - 1938. 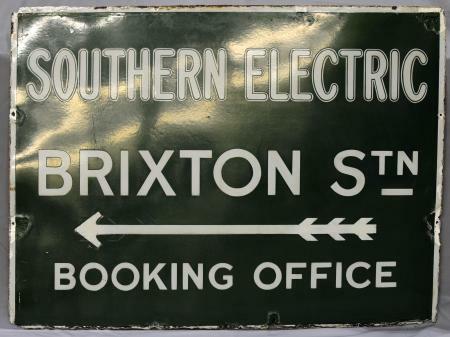 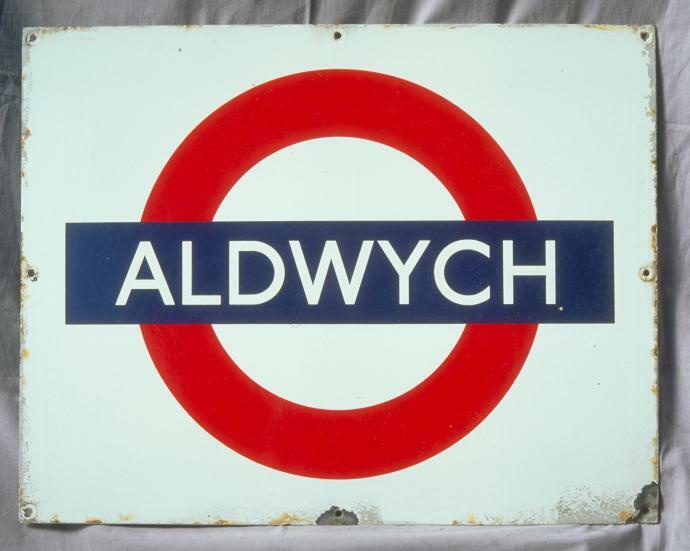 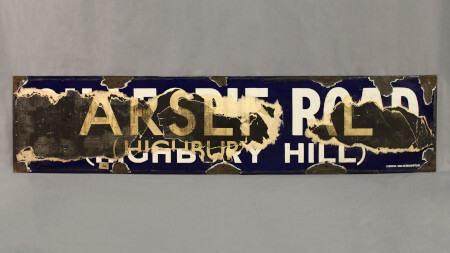 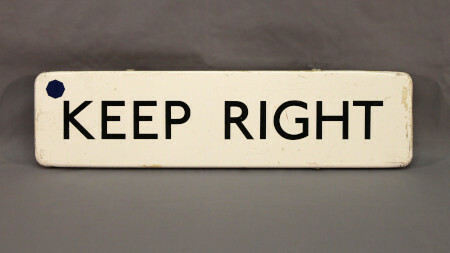 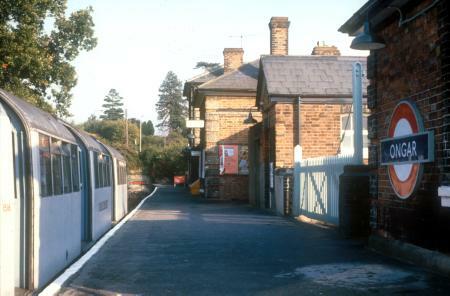 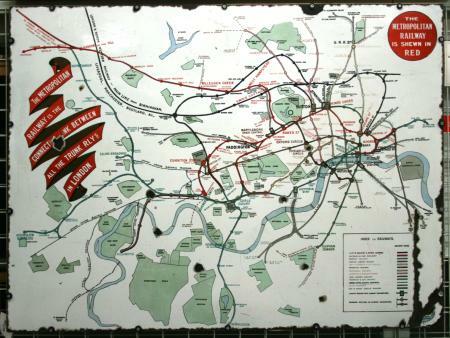 BR Eastern Region totem name plate from Elm Park station, c1955. 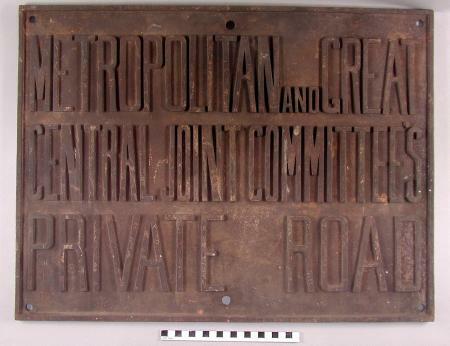 MGCJC cast iron Private road sign. 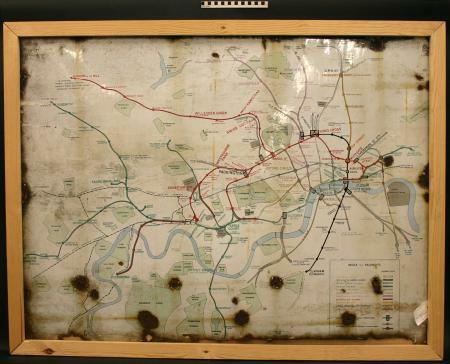 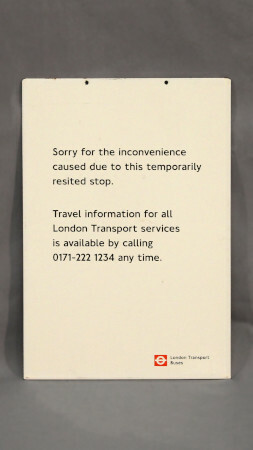 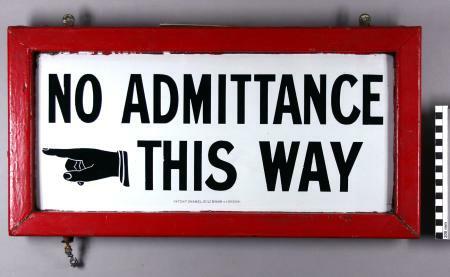 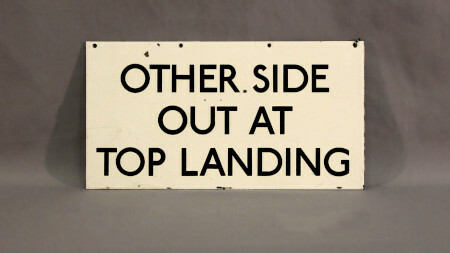 No admittance - this way sign from a UERL tube station, c1906. 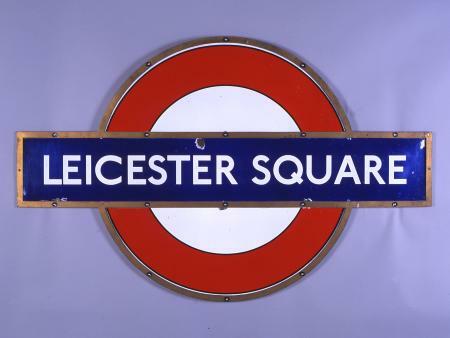 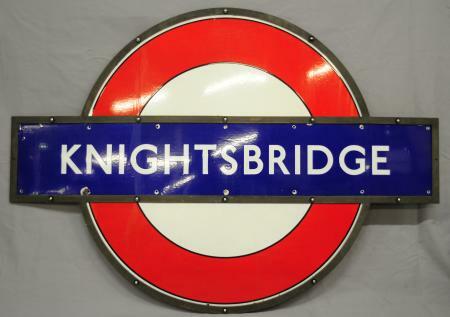 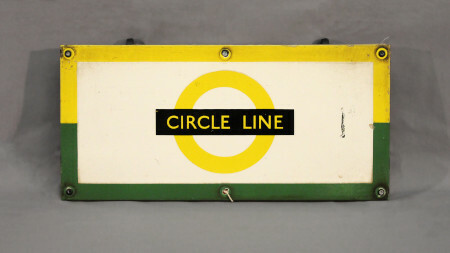 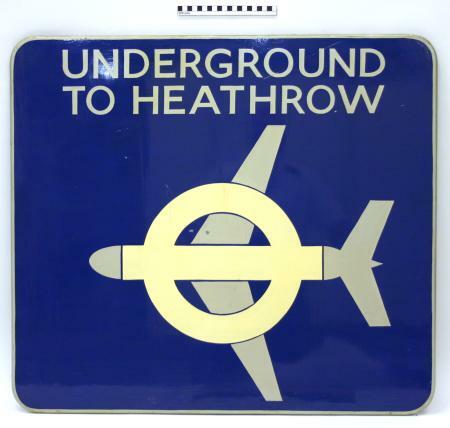 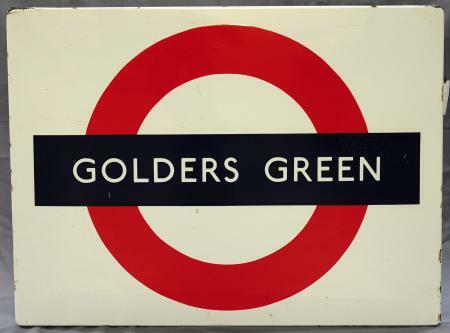 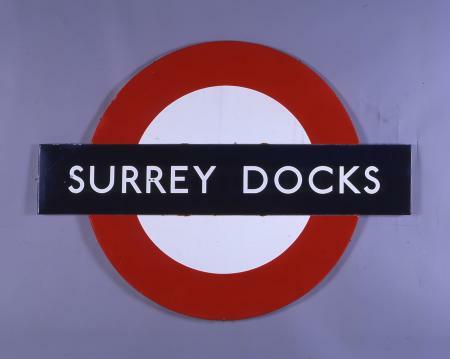 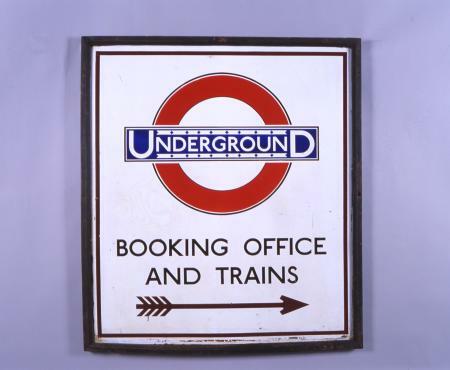 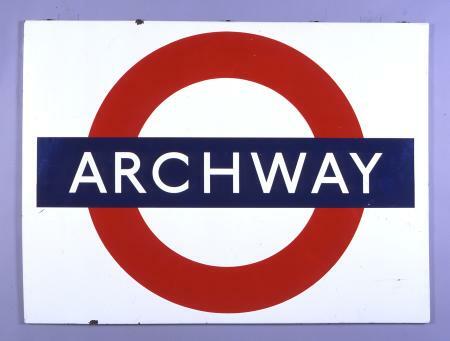 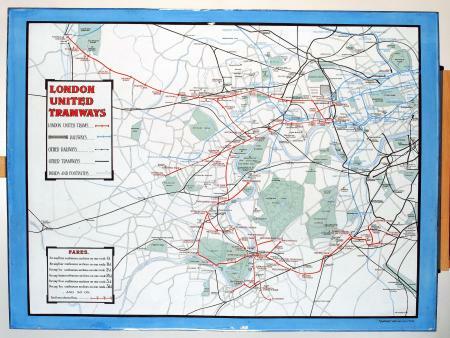 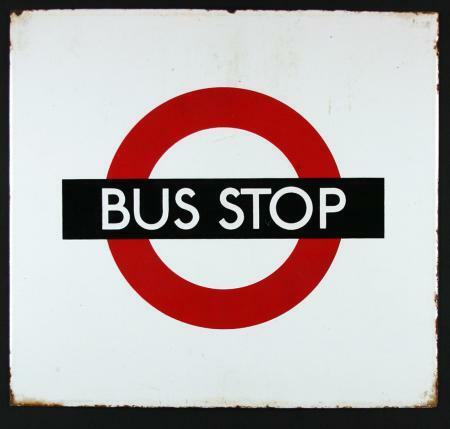 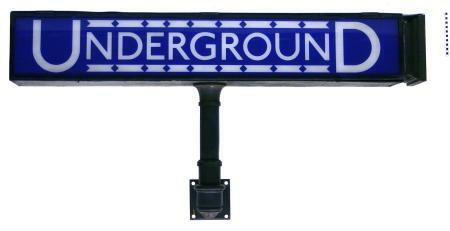 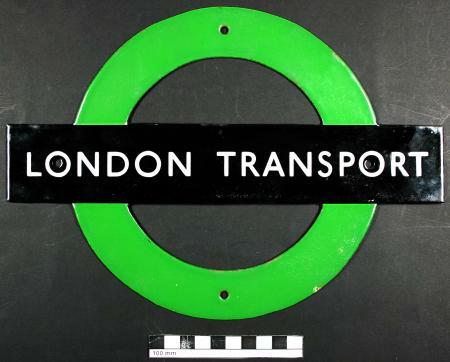 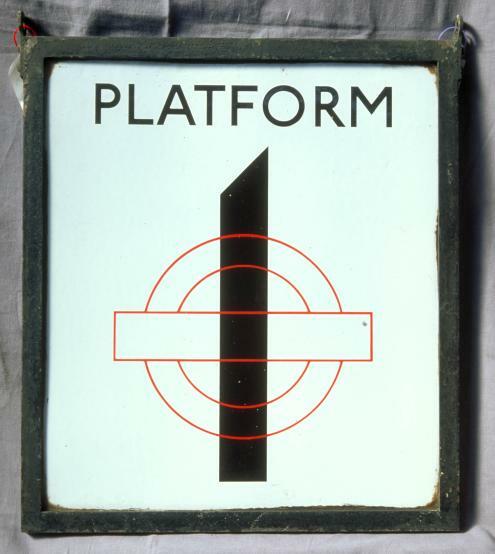 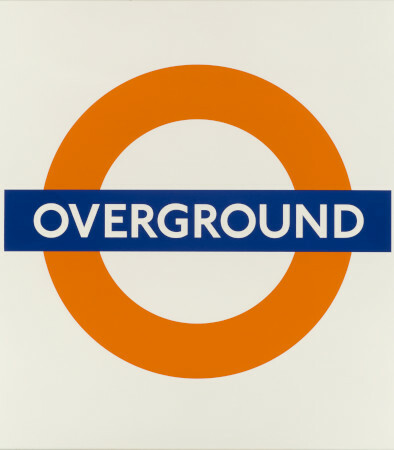 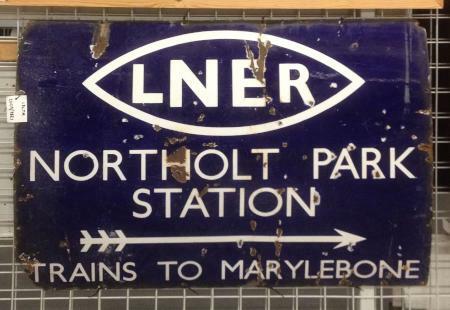 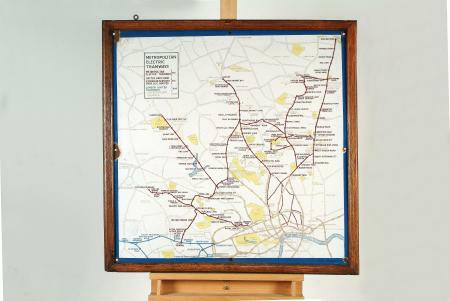 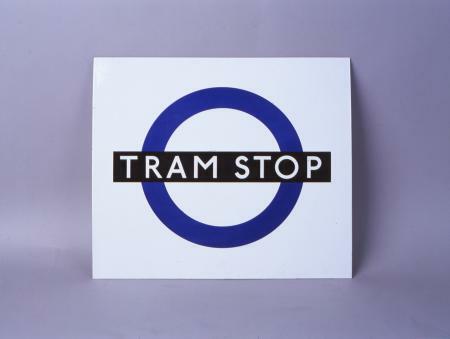 Roundel from Leicester Square station, 1935.